Four minutes and three seconds of practice by members of the Iowa State University Percussion Wind Ensemble recorded BEFORE the actual concert on 26 October, 2016 in Martha-Ellen Tye Recital Hall. I love the randomness of each musician going through their lines as they do a last-minute practice session in public. No composer can write this, and I find it gorgeous, especially toward the end when all musicians fall silent to get to the tuning section. The randomness of beauty; it warms the cockles of my heart! 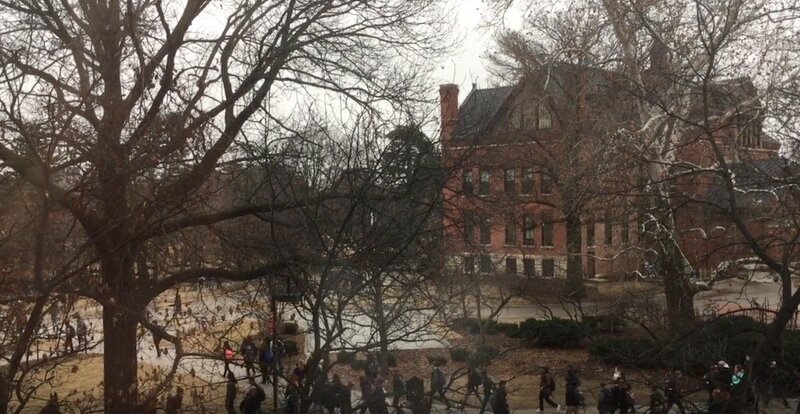 The video is a slowmo recording of students walking across an intersection near Morrill Hall, without colliding, illustrating a similar level of organized chaos as the one heard in the audio.